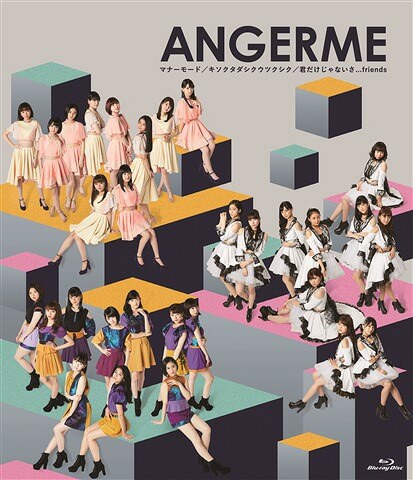 More promotional videos for ANGERME’s 24th single hit the interwebs today. “Kimi dake janai sa … friends” sticks around just long enough to give a taste of the song and its visual aesthetics. 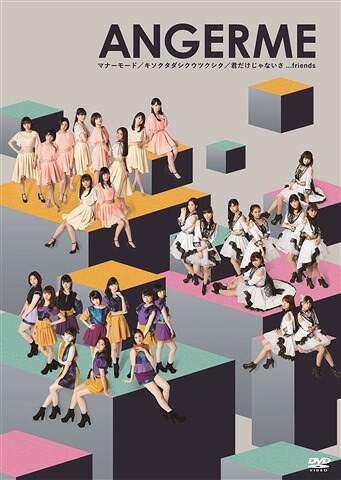 The newer generation does a lot of heavy lifting with Kamikokuryo Moe spending much of her time front and center before passing the baton to Kawamura Ayano, and Murota Mizuki. The slow pace of the verse soon hastens to a crisp double-time. Graphic overlays like polygonal surfaces or constellations magically emanate from the movement. Speaking of movement, Kawamura’s gorgeously elongated form strikes ballet poses before stirring up the particular motion, and the short skirts flare pleasingly with the groups’ twirls. “Kimi dake janai sa … friends” proves itself an enigmatic and fulfilling in its execution. “Manner Mode / Kisokutadashiku Utsukushiku / Kimi Dake ja nai sa…friends” gets its full (DVD/Blue Ray) release on December 13, 2017.